I’m going to miss “The good-ship lollipop”. 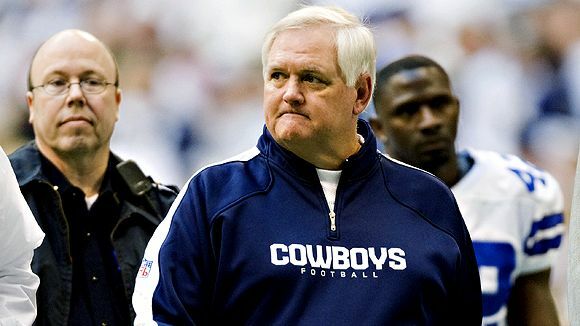 It would have been more fun if Wade Phillips had finished out the year in Dallas. I had given the Cowboys that nickname for the fantasy land that Phillips seemed to live in. Who knows, maybe Jason Garrett will provide enough material to continue the name. Not likely though. However, if the offensive production under Jason Garrett is any indication of how good of a head coach he will be, the Cowboys won’t improve much under his leadership. There are a lot of teams at or above .500. 11 out of 16 teams in the AFC are at or above .500 and 10 of 16 teams in the NFC. That’s 21 out of 32 teams with non-losing records. Whether it is parity or mediocrity or luck, it’s good for making games more exciting. There are no divisions that have any team with more than a 1 game lead on the number 2 in the division. That’s going to pay dividends for the NFL since it made the decision this year to put divisional games at the end of the season. Gregg Williams has done it again. The Saints are #3 in the NFL in yards allowed and #5 in the NFL in points allowed. And that’s not taking into account the amount of points allowed because of mistakes on offense and special teams. There have been several defensively scored TDs and gift field goals that this defense has allowed only because they stopped the other team when they were given field position inside or close to the red zone. It’s an amazing turn around from 2 years ago. Kudos to Williams for doing it yet again in a new city with relatively unknown players. I think the NFL is changing the game while trying to protect players. I have never played college or professional level football, so I can only think I know this. I just know that the continual creeping protection rules are removing the main selling point of the NFL. Toughness. The more the NFL removes hits and highlights, the more the NFL loses its edge. I applaud the NFL trying to protect the players, but the efforts they are taking are only to protect highlight making players. What about the lineman that knock heads every play? What’s going on here? A team’s culture is important. Also could be called “It’s hard to create a sustainable winning culture.” There are certain organizations that breed winning and there one’s that breed losing. It’s about owners and GMs that know how to pick someone with a winning aura and attitude and then support them the right way. In recent times, the Steelers and Giants are models of relative consistency. Rarely missing the playoffs for long, these teams have a winning culture. Then there are the organizations like the Lions and Cardinals. There may be some glimpses of good teams, but instead of rarely missing the playoffs for extended amounts of time, it’s rare they make the playoffs for any extended amount of time. Changing that culture is hard. Coaches often try to change the culture, but it really comes down the front office (ownership and GMs). Can Mike Vick stay healthy without changing his style of play? Vick has not lost a game that he has started and finished. He has a 105 QB rating and is just plain playing out of his mind. If he can just stay healthy, the Eagles may well win the NFC East and be a force in the playoffs. And it’s not just his play; the team comes alive when he’s leading it. Offensively and defensively, they appear to have more confidence. It could be hard for Vick to stay healthy if he doesn’t start sliding more though. Is Jim Schwartz the reason the Lions aren’t winning? The talent change on the Lions squad is amazing. Martin Mayhew has drafted Ndamukong Suh, Jeff Backus, Gosder Cherilus, and Dominic Raiola to anchor both lines on top of the high profile picks of Matt Stafford, Calvin Johnson Jahvid Best and Brandon Pettigrew. The trades they have made have seemed to favor Detroit as well. This team has a solid core of talent now. They have only lost one game by more than one score and defeated St. Louis 44-6. If Schwartz doesn’t start converting good play into wins, could he be the problem? 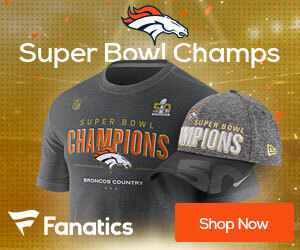 Are the Rams and Raiders going to win their respective western divisions? These two teams were not expected to be where they are. Many thought the Rams were going to be the rugs of the NFL for at least another year. Right now it looks like both teams are starting to put it together. The Rams are 4-2 in the last 6 games and the Raiders are 4-1 in the last 5 (yes, you read that right). It’s been more difficult to hate the Raiders and Al Davis when both have been so pitiful and wayward until this last month or so. Now the enjoyment of hating the “Raaaydaaaas” by the rest of the NFL might be resumed.